Diet pills: What are the dangers and risks? With the way media works these days, there is an immense pressure on men and women to look a certain way and carry a certain weight. With our ever-growing work days, we resort to junk food more than we would like to; and, when we gain weight, we want to lose it fast, because no one has the time or patience to go to the gym four times a week. The magic solution? Diet pills. Diet pills might offer an easy way out, but they come with a price. That’s why it is extremely important to think twice before resorting to diet pills. Any drug that is taken on a continuous and regular basis becomes necessary to the body. Your body gets accustomed to external aid and it becomes harder and harder not to manage without it. Also, with the ever-growing need to lose weight, you become both physically and psychologically dependent on diet pills. While some diet pills are prescribed, others can be had over the counter. So a lot of us might be tempted to give them a try, especially when the product is being promoted as “all-natural.” There is no such thing as a 100 percent natural pill. Oranges are natural; vitamin C pills are not. 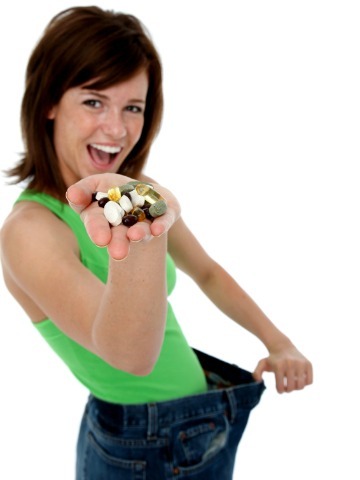 Unaware of possible side effects, it is so easy for users of diet pills to overdose. The consequences may include high blood pressure and heart attack, which could potentially lead to death. Most diet pills simply flush nutrients out of your system. They do not contain a magical “fat burning” chemical and they do not provide your body with any healthy supplements. They work by speeding up your digestion through laxatives. This causes diarrhea, nausea and, most critically, a loss in minerals and vitamins. Diet pills are not equivalent to exercise. The only way to lose weight and burn more calories without exercising is by speeding up the metabolism in unnatural ways, assisted by chemicals that work on suppressing your appetite. Many of these include caffeine equivalents. Taken with coffee and tea, diet pills can dramatically increase heart rates (thus the risk of heart attacks) and can cause an overriding feeling of anxiety.